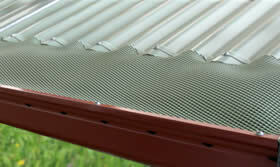 If you climb on your roof many times a year to clean blocked gutters, it means you don’t have gutter guards installed. Do you want to cut down on the number of times you do the cleaning? Yes you want that and therefore you should go for gutter guards in Blue Mountains. Installing Lifeshield gutter guards will save you time and money. Let us take a look at the features and benefits of Leafshield gutter guards. Gutter guards are specially designed patterns manufactured from steel sheets, which are installed in the gutter to stop leaves, debris and insects from getting into the gutter, water drain and downpipes. You can take a look at a variety of gutter guards at Leafshield. They are reasonably priced and highly beneficial for homeowners of all types. So, they will be useful if you are a small or large house owner. Whether you are based in Blue Mountains, Blackheath, Blaxland or Mount Victoria, you can have Leafshield specialist install gutter guards for you. As soon as summer or spring approaches, RFS spurs on homeowners to get their gutters cleaned and set up metal gutter guards to keep gutters from blockage, which is necessary. Apart from risk of blockage, gutters on roofs are prone to fire embers which can cause severe damage to your property. So, the best solution to stay safe from these hazards is to buy Leafshield gutter guards. How Can You Benefit From Leaf Shield Gutter Guards? Check out our products section where you can find technical information about gutter guards we offer.